So we finally got Amnesia in North America! I’m so excited to play the English version of this game. I had imported it since the Vita isn’t region locked but it’s great to have it in this format. You can purchase Amnesia Memories for the Vita or off of Steam. As a side note here, please do NOT pirate this game. We need to show our support, via our hard earned money, for otome games in NA so hopefully we get more! Starting off in Amnesia, you wake up realizing that something has happened and because of this all of your memories are gone. Not only that but you have sustained pretty bad injuries due to some sort of accident. You spend the game trying to uncover your memories and wondering who you can trust. You are not fully alone in this as you do have a friend helping you. Things get even more interesting for you after it is revealed that your accident might have not been what it seems. The different routes will reveal different gentlemen callers and you have to decide if you can trust what they say as you have no memories of them. 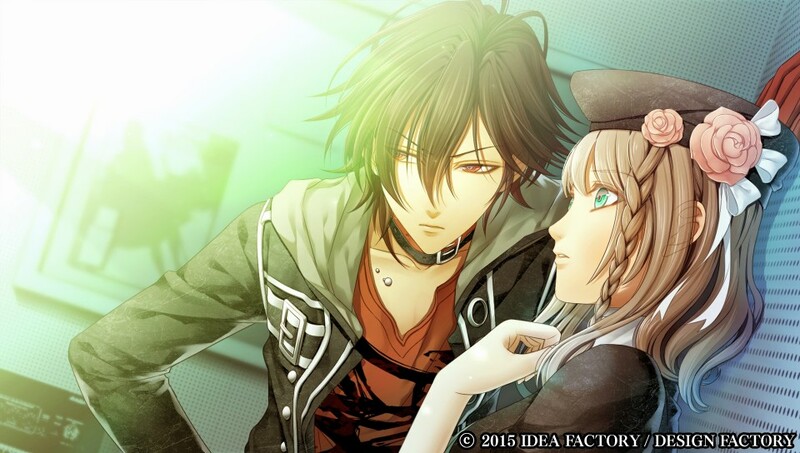 The first route I did was for Shin. He is considered the “main” guy since he is on the box art. He is your childhood friend, and boyfriend or so that’s what he says. You have to figure out if you trust him or not. I pulled together Shin’s routes and compiled them in the chart below. It is an image so you can click on it to see it in a larger scale. I am still playing through the game so let me know if you see anything I need to correct in the chart below. With these answers I have unlocked all of Shin’s CGs except for one. You can see the CGs here. Please note that they may contain spoilers, click at your own risk. Also, I do not own any of the CGs they belong to Idea Factory. This path drove me completely bonkers! GAH! It was totally worth the headache for that ending. I like Shin quite a bit more after seeing the real end. This helped so much!